A 24-hour self-service library was set up recently at Sanya Daxiaodongtian Resort and it is the first self-service library opened at a Hainan scenic spot. 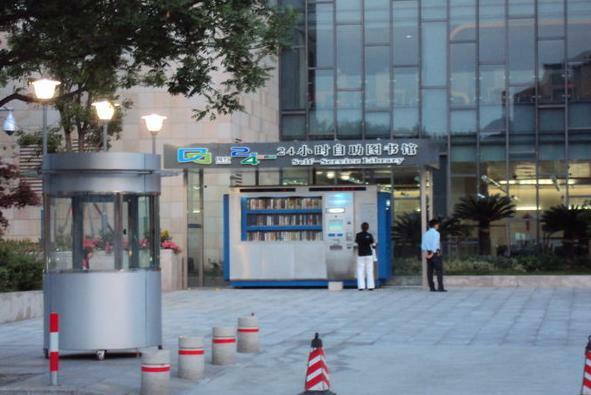 Currently, a total of 7 self-service libraries have been placed at different places including the Sanya Municipal Government, No.2 Middle School, Sanya Library Museum and Luhuitou Square and Yuechuan Square. Since its first operation from January 24, the 24-hour self-service machines have gained wide popularity among residents and tourists. As of Dec.13, a total of 2,539 readers registered to check out and return books via the self-service machines and there have been 98,740 books for self-service circulation.